When I was nine years old, my older brother had quite the collection of Sci-Fi paperback novels. His favorite writers were Heinlein and Asimov, and he used to get ballistic if I tried to sneak a book off the shelf. Finally, he got tired of constantly coming in my room to retrieve them (I swear, I stole “Tunnel in the Sky” every other day) and he offered me a book that he just so happened to have two copies of. I stayed awake until nearly three-thirty in the morning devouring that book. I even faked sick from school so I could read it again in bed the next day. And I read it over and over and then I went to the library in town to find other books by the author and I devoured those, too. 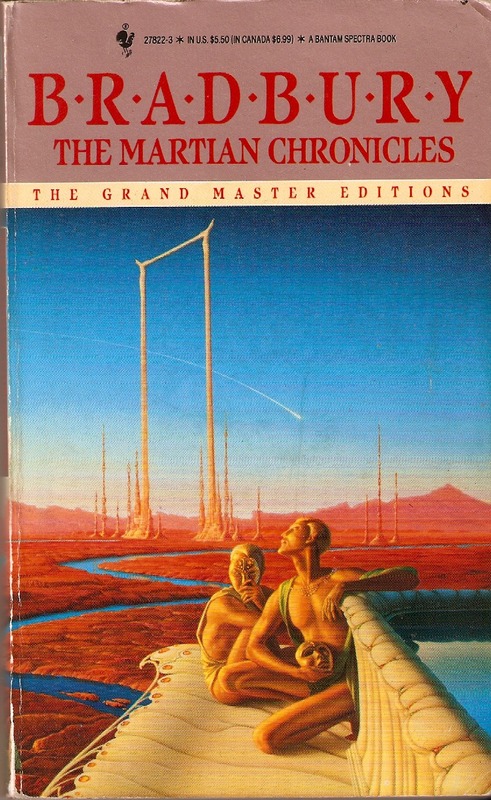 That book was “The Martian Chronicles,” and I still to this day think that no one can paint with words the way Ray Bradbury could. From the aching dread of “Ylla,” to the cold terror of “The Veldt” and “A Sound of Thunder” and the soft, wistful romance of “The April Witch,” I fell in love with stories that made me see humanity as we really are, flawed and arrogant and desperately in need of connection, for all our issues. I was inspired by that book to write some stories of my own, deeper and darker and far more fantastical than any stories I’d written before, and with much more attention to the characters and what they yearned for. I guess you could say that book was a turning point for me. I still re-read it today, dog-eared and with great care because my copy is falling apart. Guess I should get it on Kindle, but I love the feel of that book in my hand. What about you? Was there a book that made everything click for you? A book that made you want to be that caliber of writer? I love your choice because I was obsessed with Fahrenheit 451 when I was in high school. I identified with Clarissa. I felt like the romantic oddball in my small town.